Trawangan Dive: Trawangan Dive Center | PADI IDC Gili Islands| “Teaching the World” to Teach! Trawangan Dive Center | PADI IDC Gili Islands| “Teaching the World” to Teach! The PADI IDC Gili Islands Career Development Center is fast becoming one of the best places to take a professional dive qualification. Whether it’s going to be the PADI Divemaster Course or The PADI Instructor Development Course, or even a combination of both; Trawangan Dive can train you to a far superior level than generally found within the recreational dive industry. Our Divemaster course is usually run over a period of 5 weeks and as well as covering all the requirements of the course teaches you how to be a Divemaster in a real life environment. Trawangan Dive is one of the largest dive operations in the Gili Islands and therefore Divemaster’s in training will be exposed to real life experience interacting with guests and customers on a daily basis. The course fully prepares Divemasters to an extremely high level and prepares them to be a valuable asset to any dive operation. 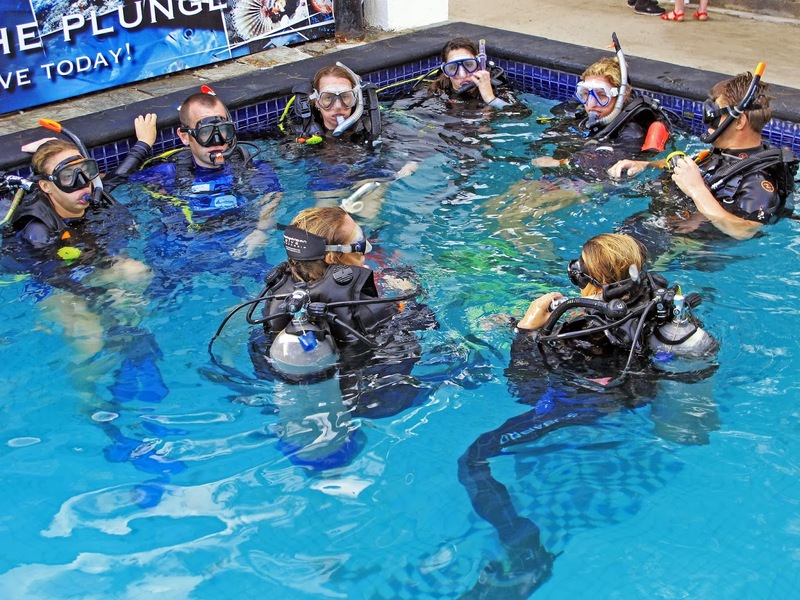 The course is a prerequisite for the PADI IDC Course. The PADI IDC Gili Islands here at Trawangan Dive is held every month and prepares dive professionals to teach a range of PADI Programs. The course is conducted over 10 days and includes 4 days pre-IDC preparation. The course is broken up into a number of core elements including water skills, classroom presentations, open water presentations, knowledge development, standards and procedures, business of diving and marketing. During the course candidates will build their own personal confidence and develop themselves to become highly employable PADI Instructors. If you’re interested in building a career as a professional PADI Divemasters or PADI Instructor, than look no further. The PADI IDC Gili Islands will teach you to confidently “Teach the World” to dive. The course will give you the knowledge, confidence and skills to out and find immediate employment as a PADI professional. Many of our previous instructor candidates can be found right here in the Gili Islands working at local dive operators. To find out more about our PADI professional dive programs check out our Gili GoPro website or our PADI IDC Gili Trawangan Facebook page, where you can follow our previous candidates progress. As a PADI Career Development Center we also offer a range of PADI career development options. Amongst the range of exciting career options available the one we are most excited about is the PADI IDC Indonesia Komodo Livaboard option which not only trains candidates to teach the PADI programs, but also teaches them how to run a successful Livaboard operation.Other programs include videography, conservation, technical diving and experience internship options.